For the 5th year in a row, students and staff at Sunview Elementary School made a difference in the lives of children fighting cancer by participating in the Leukemia and Lymphoma Society’s Pennies for Patients campaign. Over a two-week period in December 2018, Sunview raised $1,500 in support of life-saving cancer research and treatments! Donations were collected online or in the form of spare change deposited in classroom and individual collection boxes. 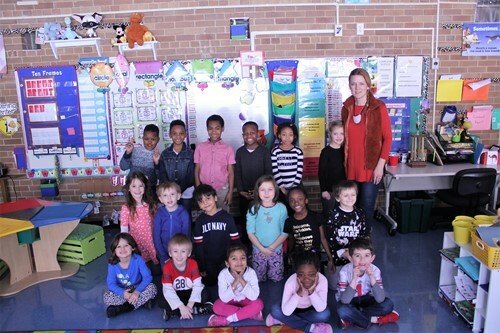 Mrs. Zawacki’s kindergarten class collected the most money and earned a delicious pasta lunch catered by Olive Garden! Way to go Sunview!